Ammirata (affectionately known as 'Ruby') was retired in 2016 before being sold at the 2017 Magic Millions Broodmare sale to Edinglassie Stud for $140,000. She finished her race career for Champion boasting an impressive record of 17 starts for 6 wins, 2 seconds and 3 thirds earning a total of $269,385 in prize money for her owners. 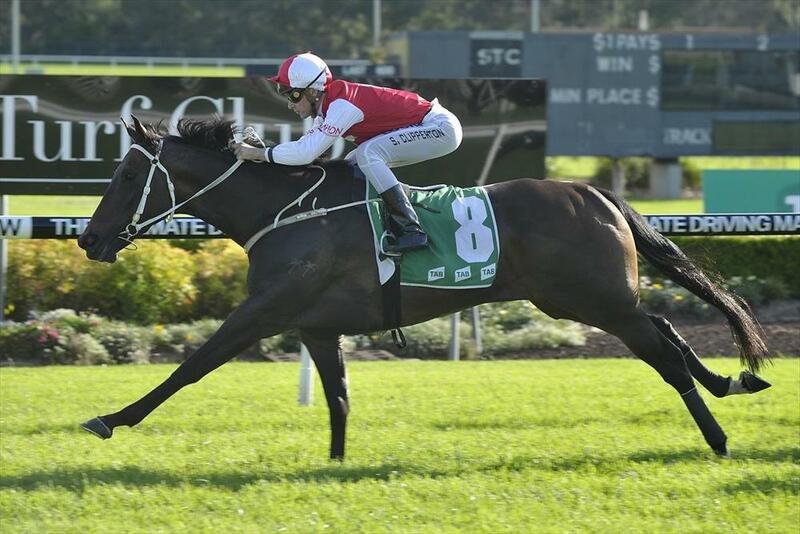 Of those 6 wins, she was crowned the 2016 Belle Of The Turf winner at Gosford in January in a thrilling finish defeating Mary Lou and Holy Delusions. She also scored 2 Saturday Metropolitan victories over the likes of Santa Ana Lane, Alart, Just a Blur and Final Decision. Ammirata is by the Redoute's Choice stallion Nadeem out of American mare Iguana Jo (Dynaforma). She's backed by an international pedigree which includes Stakes winners GUANA, WINNING CONNECTION, GREAT NEWS & LORD SINCLAIR.